Susannah is being treated in the physiotherapy unit of the Centro das Taipas, a vast, pink former mental institutution close to Lisbon's airport, where she is having hot towels pressed on to her lower back. Built during the second world war, the wards of wing 21B are these days committed to the treatment of drug addiction. Susannah is a long-term drug user and is intelligent but troubled. She first smoked cannabis at 13. At 17, she began taking heroin with the father of her children. Now 37, she has been dependent on drugs – mostly heroin – for almost two decades. "I lived in Spain for a while, " she tells me. "And London for a year, working in the restaurants with a friend. I went there to try to get off drugs but ended up on crack." These days, however, Susannah, who also suffers from a bipolar disorder, is one of the beneficiaries of Europe's most tolerant drug regime. For in Portugal, where Susannah lives, drugs have not only been decriminalised for almost a decade, but users are treated as though they have a health and social problem. Addicts such as Susannah are helped by the law, not penalised and stigmatised by it. It is, perhaps, an unnecessary sensitivity. For the reality is that, despite liberalising how it regards drug possession – now largely an administrative problem rather than a criminal offence – Portugal has not become a magnet for drug tourists like Amsterdam, as some had predicted. 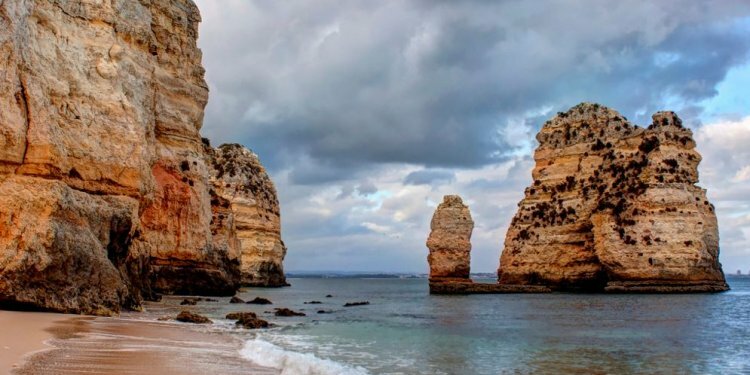 British officials are not the only ones who have made the pilgrimage to Portugal in recent years – health specialists, officials and journalists from around the world have all made the journey to see what Portugal is doing right, even as their own countries are still struggling. Nor has it seen its addict population markedly increase. Rather it has stabilised in a nation that, along with the UK and Luxembourg, once had the worst heroin problem in Europe. For Susannah – as for the many long-term addicts now on methadone replacement and other programmes, and for the country's health professionals – the country's recent social history is divided into what the world of addiction and drug use was like before Law 30 was approved in November 2000, and what it is like now. Before the law, which decriminalised (or depenalised) possession of drugs but still prohibited their use, the story of drug addiction in Portugal was a familiar one. More than 50% of those infected with HIV in Portugal were drug addicts, with new diagnoses of HIV among addicts running at about 3, 000 a year. These days, addicts account for only 20% of those who are HIV infected, while the number of new HIV diagnoses of addicts has fallen to fewer than 2, 000 a year. Other measures have been equally encouraging. Deaths of street users from accidental overdoses also appear to have declined, as – anecdotal evidence strongly suggests – has petty crime associated with addicts who were stealing to maintain their habits. Recent surveys in schools also suggest an overall decrease in drug experimentation. At the same time, the number of those in treatment for their addiction problems has risen by about a third from 23, 500 in 1998 to 35, 000 today – helped by a substantial increase in available beds, facilities and medical support – with many going on to methadone replacement programmes. The consequence is that perhaps as much as €400m (£334m) has been taken out of the illegal drugs market. But decriminalisation, as Portuguese officials and others who have observed the country's experience are at pains to point out, was only the most obvious part of what happened 10 years ago in the midst of a similar debate on drugs to the one now going on in the UK. Then, in a moment of grand vision powered by an inquiry which recommended a wholesale overhaul of Portugal's anti-drugs policy in 1998, the government opted to make wholesale changes to the way Portugal dealt with the issue, giving a huge boost in resources to everything from prevention to harm reduction, treatment and reintegration – creating an entirely joined-up approach to drug abuse under the auspices of a single unit in the ministry of health. It marked an acceptance that for many, living drug-free was neither realistic nor possible and that what society needed to do was mitigate the risk individuals posed to themselves and a wider population at large by helping them manage their problems. Susannah's doctor, the head of treatment at the Centro das Taipas, is Dr Miguel Vasconcelos. He frames Portuguese drug laws in a way that I hear repeated several times. Within certain clearly defined limits – an amount equivalent to 10 days' normal use of any particular drug, ranging from amphetamines and cannabis to heroin – possession, he explains, is now considered similar to a traffic offence. It is a notion I find later described in the Portuguese drug strategy document as a "humanistic" approach. Vasconcelos, 51, is old enough to remember what it was like before, in a country which, two decades ago, barely had a methadone replacement programme at all. In his office, decorated with artworks by his clients, Vasconcelos says: "Critics from the conservative parties were concerned that the new law would make Portugal a place like Amsterdam, but that did not happen. "You have to remember, " he says, "that the substances are still illegal; it is the consequences that are different." And for those arrested in possession of drugs for personal use, that means not a court appearance but an invitation to attend a "dissuasion board" that can request – but not insist upon – attendance at facilities such as the Centro das Taipas for assessment and treatment. "They evaluate if someone is ill or a recreational user, if a person uses sporadically, " says Vasconselos. "Even then people have a choice. People can refuse to attend the dissuasion board." For many, he believes, the experience can be cathartic and he admits being surprised by how open many of the clients who have come to his facility via that system have been . If there has been a problem with the Portuguese experiment, he believes that it has been one largely of perception – outside Portugal – where decriminalisation has been misunderstood by some as legalisation or a step on the road to it. Rather, Vasconcelos believes that decriminalisation is a natural consequence of a gradual shift from regarding addicts as social delinquents to regarding them as people in need of help, a view reiterated by Dr Manuel Cardoso, a board member at the Instituto da Droga e da Toxicodependência at Portugal's health ministry, which now co-ordinates the country's approach to drug abuse.